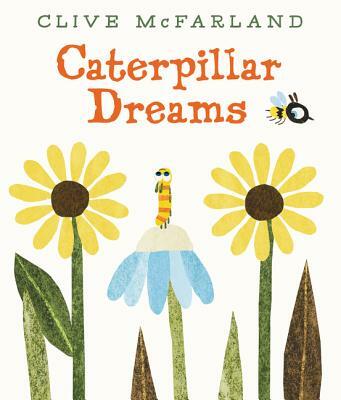 The Very Hungry Caterpillar meets Giraffes Can’t Dance in this sweet coming of age story about finding one’s courage. All Henri the Caterpillar has is a dream. It’s an amazing, incredible, impossible dream. And to chase it, Henri will have to leave the safety of his garden and embark on the adventure of a lifetime. Written and illustrated by the award-winning creator of A Bed for Bear, Clive McFarland, Caterpillar Dreams is the inspiring story of what can happen when you dare to believe in yourself. Clive McFarland is an illustrator. He graduated from Liverpool School of Art and Design and lives and works in Northern Ireland, where he was born. He is also the author of A Bed for Bear. There’s more at www.clivemcfarland.com.